Silk Roses 4Pc Set - 7", 10", 13" & 18" - Pink - Make Flower Walls! Full and luscious, our Silk Flowering Dogwood Tree is loaded with multi-pink colored blossoms and is top quality construction, making it ideal for special events and weddings or to add a garden feel to large lobbies and venues! This beauty is 6' tall and since all the branches bend and hold their shape, you can keep all the branches upright or shape them to a spread of 3 1/2 feet. 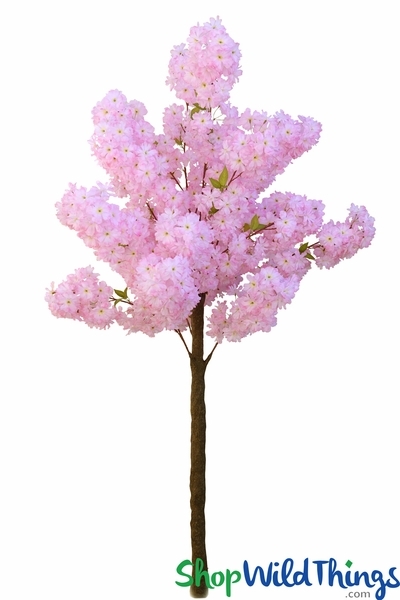 This tree has a sprinkling of green leaves among the dreamy pink blooms that are 2" to 2 1/2" in diameter. The flowers are light pink with dark pink edges and a soft yellow center, giving dimension and depth. This tree weighs 7 lbs. The trunk is incredibly realistic looking - it's textured like real bark and the coloring is spot on! The tree is attached to a 7" square, heavy-duty metal base that has 2 holes so you can secure it to the floor or to a larger base. Simply take this out of the box and you've got instant floral beauty to freshen up the look of any room. This tree makes a wonderful photo backdrop and adds energy and beauty to weddings and events and adding Sparkling Crystal Garlands, Pendants or Ornaments only enhances the look and feel of your venue. Around the house this is perfect for a covered patio, sunroom or foyer. For restaurants, stores and hotels, welcome your guests with eye-popping blossoms and celebrate the holidays by decorating with white or colored LED String Lights or butterfly garlands! 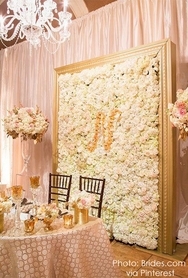 If you're planning a large venue, place on a table and make this the grand showpiece of the room! It's sure hard to beat the beauty of a dogwood tree in full bloom so why not enjoy this elegant flowering tree year round! 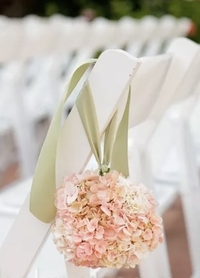 For sensational wedding and event decor, we work hard to get only the best so that you get only the best and our line of decorative flowering trees are yummy from top to bottom! I have this in my bedroom and it is a wonderful addition to my decor now I wish I could get one 8 Ft tall the same.